Nano satellites that weigh only a few kilograms orbit the Earth. These miniature computers have solar-powered batteries as their pivotal point. Saarland University’s computer scientists have now created a new method that allows for better planning of solar battery operations. They predicted how much the on-board battery will be utilized during the satellite’s mission. The scientists reveal that the achieved efficiency is approximately five times greater than with conventional systems. This method is already being successfully used in electric cars on Earth. The scientists will demonstrate their methods at the Cebit computer fair in Hannover (Hall 6, Stand E28). As far as we know, there is nothing like it in Earth orbit so far. 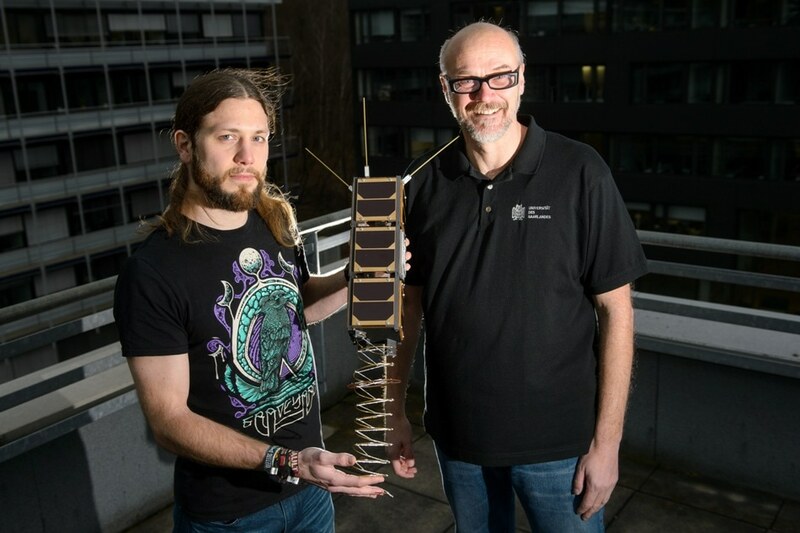 Hermanns, together with his student Marvin Stenger and doctoral student Gilles Nies, has created a method that allows for more accurate predictions of the quantity of battery power required for a specific operation in space. Until now, space researchers have tended to plan with very large and heavy batteries, conceding the space required for other experiments and equipment. Amongst other things, not enough attention has been paid to the recovery effect, a phenomenon well-known from mobile phones. If the phone dies due to an empty battery, it often takes just a few minutes of waiting, then you can turn the phone back on again and use it, for a short time at least. The newly developed battery model can be employed to monitor the exact amount of energy currently available, and decide how much of it is available in chemically bound form (i.e. not immediately usable). This enables the computer scientists to calculate the possibility of the battery that is being discharged at any given moment. The findings of the Saarbruecken computer scientists can also be used on Earth. Batteries are ubiquitous – and a good battery model helps in a lot of situations,” says Holger Hermanns. So far, we could only answer the following question: Under ideal conditions, will the battery charge be enough for this electric car to make it to Frankfurt Airport? Now we can see whether the air conditioning system can be operated in such a way that you have a chance greater than 99 percent at all times to make it to your plane in time with the current charge.